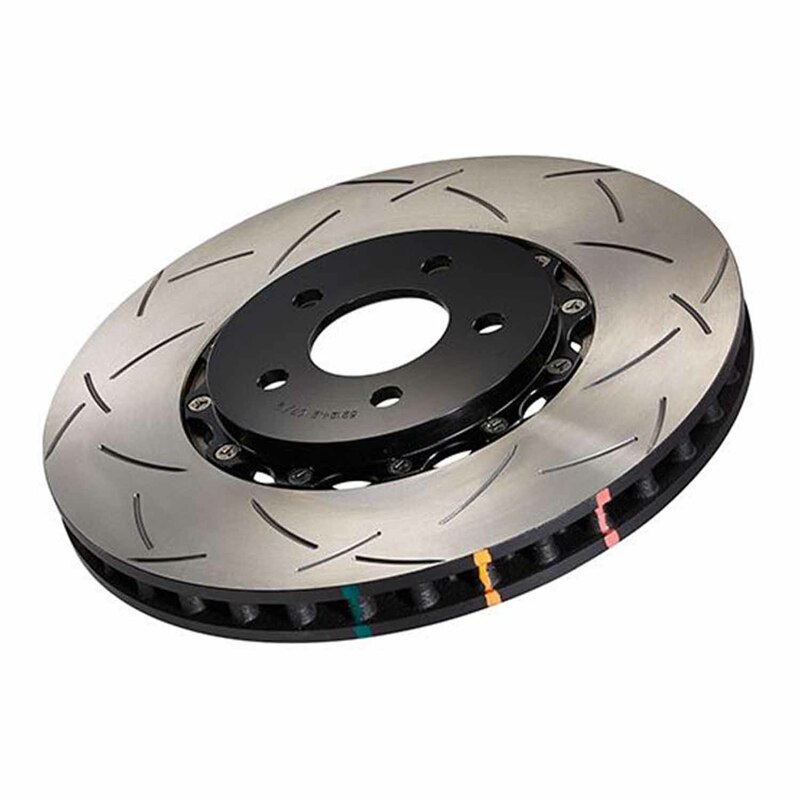 Tired of cracking cross-drilled rotors? Our DBA 5000 series rotors will fix that for you! 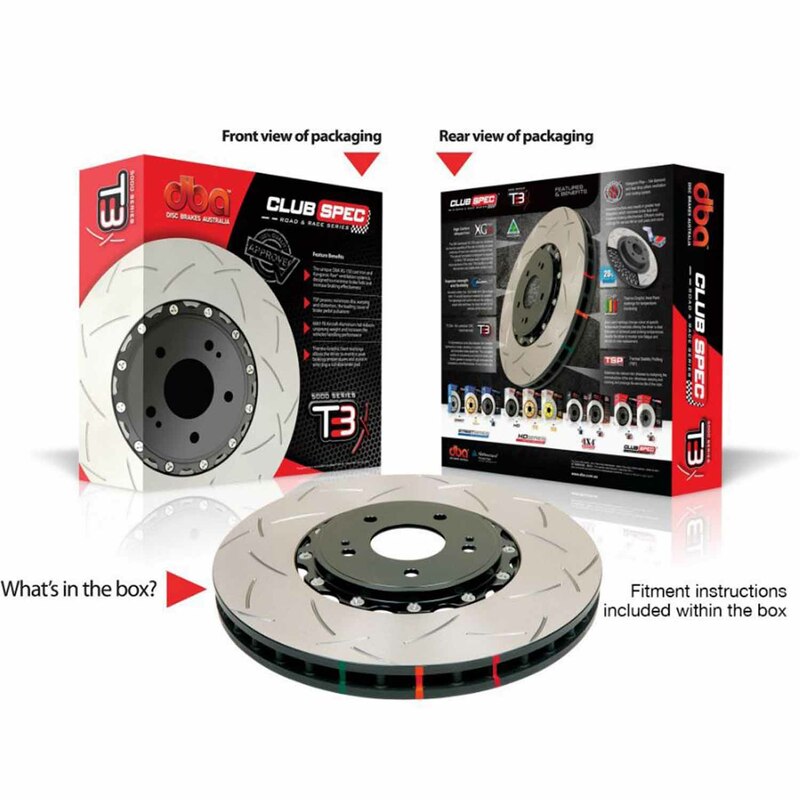 The DBA 5000 series is a direct replacement two-piece disc brake rotor, designed for drivers seeking performance braking. 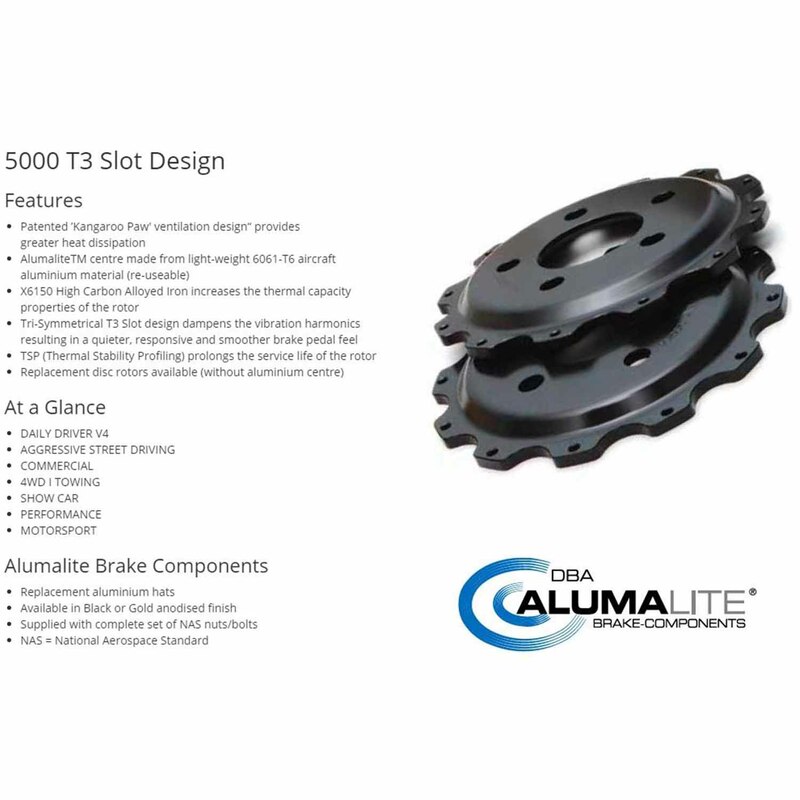 The DBA 5000 series disc rotors consists of two main components: the aluminum center hat and the cast iron disc rotor. These two components are bolted together with NAS (National Aerospace Standard) bolts and lock nuts, hence the term ‘two-piece’ rotor. The Aluminum mounting center hat is made from super-light 6061-T6 Aluminium material, as used in aircraft structural design. The thermal conductivity and high strength of hat allows it to handle large temperature changes. The benfits of this is minimal distortion and warping of the cast-iron disc rotor. 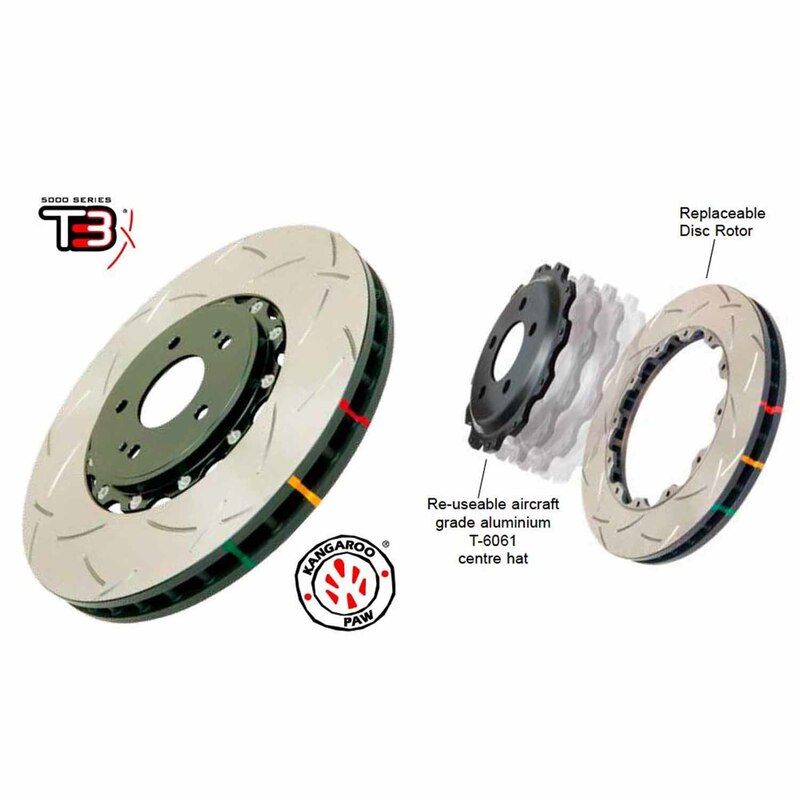 All DBA 5000 series rotors are slotted; slotting limits the possibility of glazing your brake pads and allows better ‘pad-bite’ under extreme braking conditions. Slotting constantly improved the disc pad friction face by wiping away the impurities and resins in the friction material. The DBA 5000 series rotors are manufactured with directional slotting, i.e. Left-Wheel disc slotting and Right-wheel disc slotting. Includes a pair of left and right front rotors.